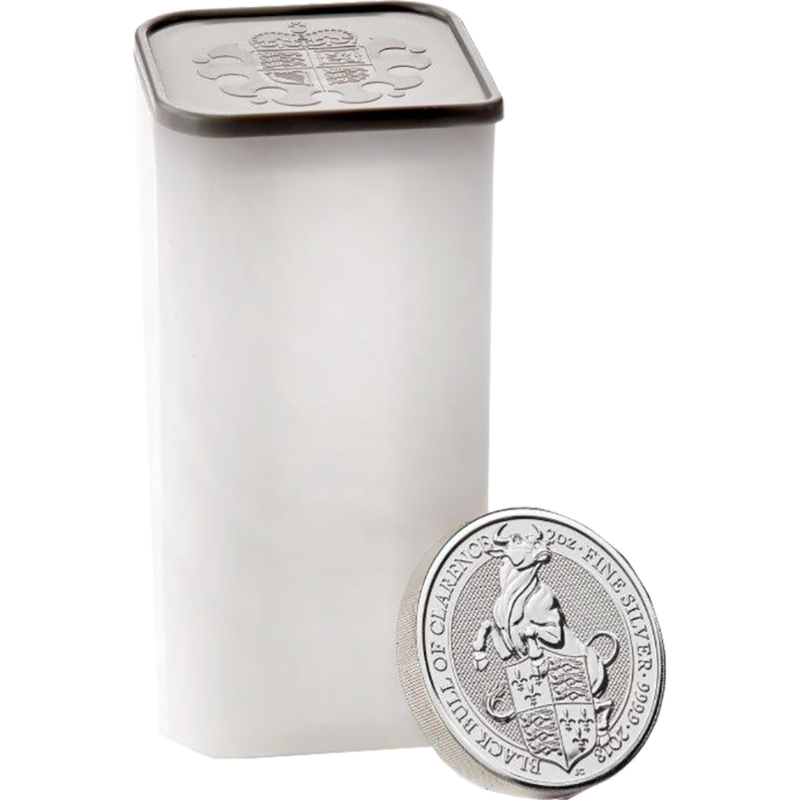 A 200 coin collection of the 2018 UK Queen’s Beasts The Black Bull of Clarence 2oz Silver Coin supplied in offical mint monster box and tubes. The 2018 UK Queen’s Beasts Black Bull of Clarence 2oz Silver Coin is the fifth release from the exclusive Royal Mint bullion range, featuring an original reverse design. 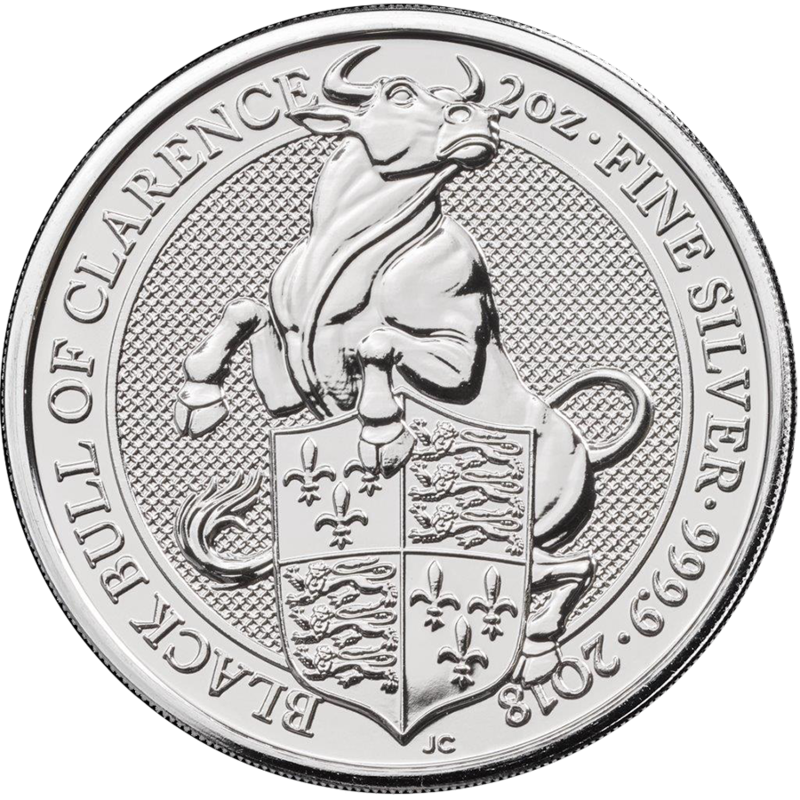 The coin's reverse features a stylised version of the majestic Black Bull of Clarence holding the shield of arms. The year-date and ‘Black Bull of Clarence’ also feature. The bundle weighs 12,441.40g and is 999.9 Fine Silver. 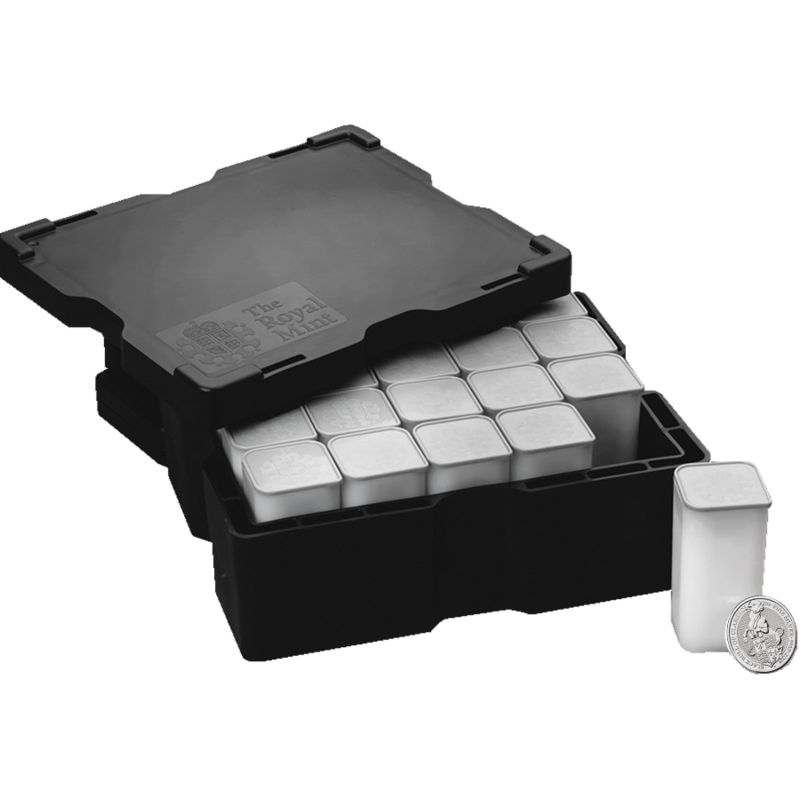 Each coin weighs 2 troy ounces and is 999.9 Fine Silver. Dimensions: Diameter: 38.61mm. Thickness: 6.00mm. 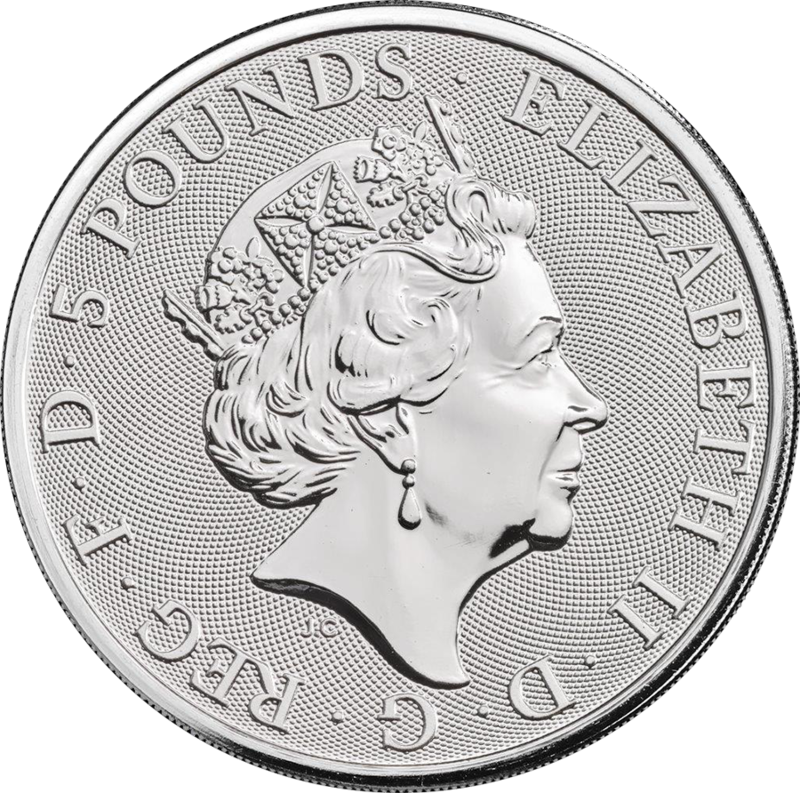 This coin is the fifth in the series of ten designs that celebrate each of The Queen’s Beasts. The Queen’s Beasts bullion range celebrates the British Monarchy and the centuries of fascinating heraldry that has been a part of their story. 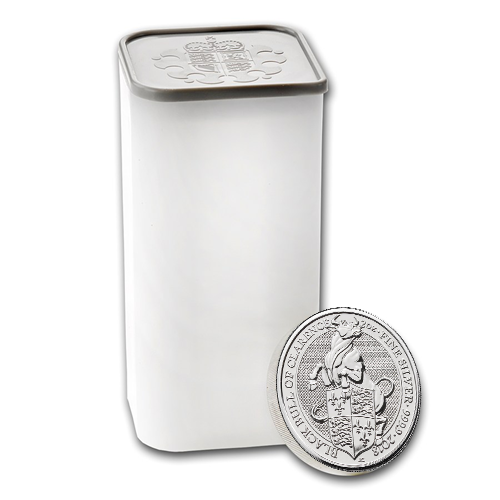 These coins fit the Double Thick 39mm - 2oz Silver Queen's Beasts Coin Capsule.